Lionsgate Home Entertainment has just added Ex Machina to its roster, scheduling a brand new 4K Ultra HD version of the science fiction movie for release in June. After winning a competition to spend a week at the mountain estate of his company’s brilliant CEO (Oscar Isaac), programmer Caleb (Domhnall Gleeson) arrives to discover he has been chosen to take part in a study of artificial intelligence. Sworn to secrecy and cut off from the outside world, Caleb meets his subject, a beguiling and seductive android (Alicia Vikander) — and is plunged into an A.I. 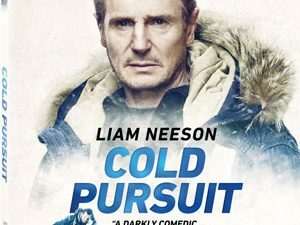 experiment beyond his wildest dreams in this epic thriller charged with heart-stopping suspense. Aside from the movie itself, the release will contain all the bonus materials previously found on the Blu-Ray release, such as the 5-part Making-of Featurette “Through the Looking Glass: Creating Ex Machina”, as well as 8 Behind-the-Scenes Vignettes. The release also features the SXSW Q&A with Cast and Crew and Commentary Tracks with Director Alex Garland and Andrew Whitehurst, Geoff Barrow, Mark Digby and Michelle Day. As an Easter Egg, the release will also contain the Oscar Isaac Dance Scene. 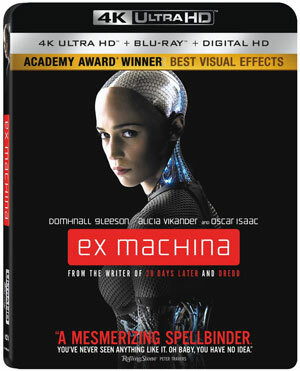 Ex Machina will arrive in ultra high definition on June 6 for only $22.99.